This will only happen once: TPOD Season 1 is free for 2 days! Season Two hits in two weeks! Get on board now with the complete first season, free on September 18 and 19th! Click the cover above to grab it now! As of 2:30 pm, here’s the Amazon ranking #23 in Dystopian and #29 Post-Apocalyptic! 3:30 PM: #1 in Post-Apocalyptic and #2 in Dystopian! Push it higher on Amazon’s main list with a happy click and get Episode One free now. You’re going to love it! is free on Amazon until midnight tomorrow night. a book that allows you to see the world in a new way? apocalyptic scenaria where the fate of God and humankind are debated? international thrillers with weird and scary terrorists? zombies unlike what you’ve come to expect? tension that crawls up your spine and into your brain? about a sweet, innocent autistic boy who rarely speaks but has hidden talents that might save the world? If any of that appeals to you as a horror reader, click the cover below and get on board the braingasm train. Still not sure you want that first crunchy, salty potato chip? Then get more details here. 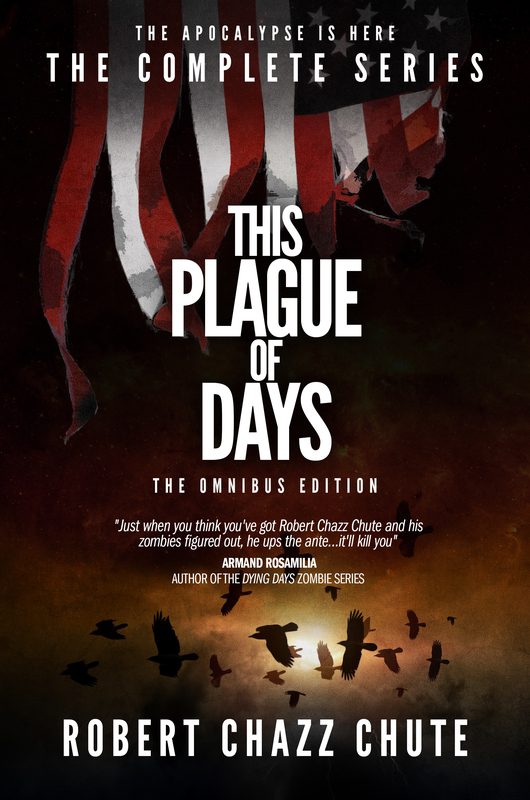 The Zombie Apocalypse serial is here. Get 5 episodes at 99 cents each or the whole Season for $3.99. Season Two hits the world at the end of September. ~ Robert Chazz Chute is a novelist, podcaster and former newspaper and magazine journalist. 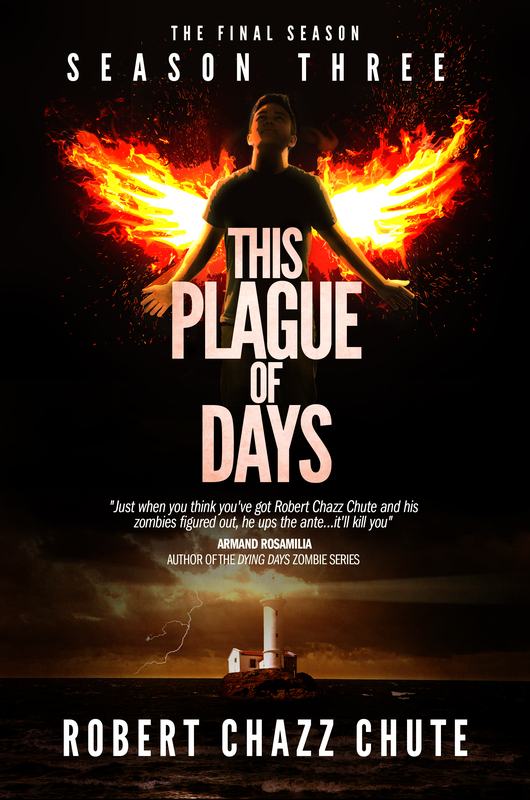 This Plague of Days is his ninth book. See all his books here.